High drama at the White House in recent days and weeks — a series of meetings as certain merchant oil refiners seek caps on US ethanol mandates and RIN prices, while ethanol producers and their corn growing suppliers seek to protect the foundational mandate paseed by Congress in 2007 that set the country on a “never again 100% dependent on oil” course, and seek to move to year-round E15 blending. Is a deal in the cards? According to POET CEO Jeff Broin, there’s a deal on the table — changing almost by the hour, but a deal none the less. A deal on the table to provide year-round E15 approval for the biofuels industry and that may offer some relief to small merchant oil refiners. We reported in January that the Environmental Protection Agency should decide soon whether or not it has the authority to approve E15 use year-round. The EPA administrator told a Senate hearing this week that the internal discussion on its authority to grant the waiver or not should be completed soon. For every ethanol blend everywhere these days, there seems to be a war on. A war in India over 22% blends. A war in Brazil over exactly what baseline blend ratio (somewhere int he 20s) is ideal. A war on in Europe to roll back first-gen ethanol to around 2% blending. 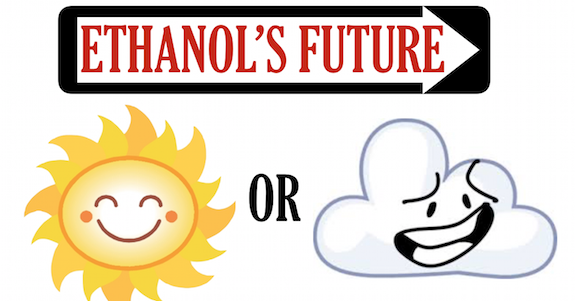 A war in New South Wales, Australia over whether there should be any ethanol mandating at all. A war in the US as conservatives aim to haul blending down to 9.7% while ethanol producers have clearly aimed at a 15% baseline blend. Here’s the good news, sort of. As we reported in January, U.S. ethanol exports totaled 107.2 million gallons in November, up 14% from October, according to government data analyzed by the Renewable Fuels Association. Brazil received 28.1 mg. and a small amount went to China, which has not imported any U.S. fuel ethanol in the prior 10 months. Canada scaled back to 24.2 mg, a 29% reduction from October. Exports to India perked up at 15.5 mg, a 17% increase, while shipments to the Philippines more than doubled to 9.9 mg. Exports to all destinations for the first eleven months of 2017 stood at 1.19 billion gallons, indicating a record annualized export volume of 1.30 billion gallons. Are high ethanol blends going to be essential, and mandatory, for super high fuel-efficient engines? Butanol. It’s been discussed endlessly — there’s absolutely no dispute that butanol as an advanced alcohol blends at a higher rate and carries more energy than ethanol. Gevo and Butamax are embarked on that strategy — but it all comes down to achieving the right economies of scale. And as we reported in November 2017, Gevo said it decided to reduce its employee base at the Luverne Facility in October to better match industry norms in terms of staffing levels necessary to produce solely ethanol at the plant. Given the Luverne Facility has only one production line suitable for isobutanol, Gevo’s current isobutanol production costs are higher than its expected sales price. Going forward, Gevo expects its operating strategy will be to focus on the production of ethanol and to produce limited volumes of isobutanol until the completion of the Luverne Facility Expansion. Ethanol encapsulation. We sure liked this one in theory. Sylvatex technology takes one gallon of free fatty acids (made, in this case, by hydrolyzing distiller’s corn oil) and one gallon of conventional corn ethanol, creasing thereby two gallons of a diesel fuel blendstock. Meanwhile, we reported last month that Sylvatex and Valicor inked a Joint Development Agreement to develop and commercialize Sylvatex’s MicroX technology, converting distillers corn oil and other plant-based oil feedstocks into Sylvatex’s proprietary MicroX renewable blendstock. The JDA will also accelerate commercial scale engineering and expedite early market sales of the MicroX blendstock. 6. As the number of these optimized FFVs and new tech E30+ vehicles increase, the advanced ethanol community should identify where concentrations of those vehicle are located and work with stations and governments in those areas to get more blender pumps installed.